Hypnotherapists may claim over 90% success rates with smoking for example, or any other issue. They could be great, but its difficult to split off the value that the practitioner provides from the existing willingness of the client, making a financial investment, and other influencing factors. I’m always keen to let clients actually understand the whys and wherefores of what’s going on – what the actual barriers are or were, and what new awareness has been able to do in creating some sort of inner change. Most of the time this is an emotional conflict of some kind, that finds a real resolution (emotions are a driving force because we do what we feel like doing, not necessarily what we actually want to do). I can instantly think of three hypnotists who market themselves as being the world’s fastest. I don’t mind this, because its all a bit of fun and they have to appeal to the imagination of their customers some how. The speed thing is a bit silly though, because even a rapid induction starts quite before the actual induction, with any pre-talk, specific instructions etc. Ol’ Derren is probably the worst offender of this. He plays the numbers like any other hypnotist, finding high-responders, then pre-hypnotising to do whatever he asks them to do in the routine – whether its to believe that what he’s telling them about themselves is true, to pick out a particular object, or name the subject of a painting behind a curtain. Its a really, really cheeky way to make standard (there is no other kind) hypnosis look like some altogether more powerful and unique ability. On a lesser scale, many hypnotists market themselves as a kind of mysterious guru with unique and powerful abilities. The truth is that hypnosis really isn’t that difficult, but yes, the effects can be fascinating. I personally get a little bit irked when a practitioner associates the fascination of hypnosis with themselves rather than to the mind in general. You will see numbers being thrown about – “I’ve hypnotised 100,000 people” or something just as meaningless. Does quantity mean better? Not always. How was hypnosis measured? Did all those people experience a sense of involuntariness, or were they just playing along? Who knows – its just words of hype. Hypnotists (and especially NLP sorts) love to create new methodologies, techniques or approaches that are given acronyms, trademark symbols, and written in slick “future looking” fonts a bit like the titles of low-budget sci-fi films. “My product harnesses the true power of X, to deliver you Y!” they will promise. Its all done to make them unique in some way, to stand out, have a unique selling point to compete for a living with the masses of other practitioners. Some people have made a whole identity or “niche” for themselves based on things that were obvious and known well before they started. I won’t name names, because some of them are still good people who I like. Not everyone is hypnotisable. Sure – the vast majority can be relaxed (albeit with a little training on occasion) to a level that facilitates change work or therapeutic benefits. But experiencing true hypnosis, a sense of involuntary automaticity, seemingly isn’t available to everyone. How do these “hypnotise anyone” people justify their claims? By being rude to the people who can’t be hypnotised, and treating them as if they “don’t count”. Its their fault, for not “wanting” to be hypnotised. This is a strange, twisted logic born from a misunderstanding of what hypnosis is and how it works. I’ve seen and heard so many anecdotes from practitioners that fail to reveal what they actually did to lead to the supposed change. A really long and involved anecdote will typically end with some miraculous change. You’ll notice though, that in the middle, is a vague mention of “so we got to work…” or “so I hypnotised her, and then later…” without mentioning any methodologies. This isn’t to protect some secret technique – except that the technique was probably incredibly simple, and discussing it would nullify the imagined mystique of the story. Frequently, I suspect such anecdotes are hiding compliance on the clients part. “They called me the next day and said they’d never slept better, and cancelled their second session”. Uh huh. Why the Hype around Hypnosis? Hypnosis professionals are like most other human beings – a little insecure, uncertain of their futures, in need of some kind of distinction and are trying to make a living. As crazy as it sounds, most people who offer or attend hypnotherapy training do not know how to properly hypnotise. They mostly do something else, a kind of light relaxation, which is enough to lead to more active imaginings and the belief that things might “change”. You’ll find more overt hypnosis in the realms of magic, stage-performance and such like. Of course, you do get therapists that understand more about hypnosis, but even when they think they do, often they don’t. I rarely find one who is familiar with the various angles of hypnosis research, for example. The lack of consensus and understanding about hypnosis leads to huge variance in beliefs. Which is concerning – because belief is the very thing that hypnotists are trying to tackle and create in their subjects. The trend seems to be that the least you believe, the better and more awesome the hypnotist you are. If you’re a bit awesome, you say something like “Nah, I don’t believe in trance, or depth”. If you’re even more darkly mysterious you might say “Nah, I don’t believe in inductions.” The very, very cool hype-notists say “Nah, there’s no such thing as hypnosis” because they have no clue what they’re talking about. I find it funny when I see someone saying “I don’t like the idea of the unconscious, it doesn’t exist, its just a metaphor”. Was it ever anything other? The unconscious mind was never thought to be a “thing”, but then neither was the “mind” itself. We all know that the mind is an emergent property of the brain. The unconscious mind is simply a term to describe thoughts or processes that happen below the level of awareness, what’s not to “like” or understand about that? Its just a word, a term, a definition. 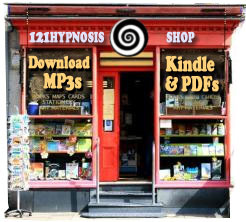 A bit like the wizard of Oz, hypnotists prefer to hide behind the hype that the public’s ignorance about hypnosis creates, rather than say “hey, I’m just a human being who has studied hypnosis”. There is a huge amount of evidence for hypnosis – behavioural, socio-cognitive, and neuro-physiological. Yet, for some reason, some of the aging cantankerous sorts defensively oppose the idea of evidence and research, as if what they’re doing would fall apart under the light of enquiry. I have no idea why this is, but it tends to create far more of those big claims and anecdotes. I’m not sure why, but many stage hypnotists seem to end up consumed by their own hype, to the point that they have completely lost the plot when it comes to empathy, being a human being, or knowing where hypnosis ends and normal life begins. In hypnosis forums, they can be incredibly argumentative, defensive, yet oddly irrational when it comes to actually understanding information. I wonder sometimes if years of stage hypnosis can lead a person’s controlling ego over the edge. Even recently I saw a typical stage hypnotist (obese, tattoos, heavy accent) demonstrating an induction, with a ridiculously smug and power-mongering look in his eye. The only real variance is knowledge, awareness, and understanding. And sadly, none of those things are correlated to the hype of how a practitioner presents themselves.